A collection of accessories and beauty products you’ll love during the warm months ahead! I have previously mentioned how much of a necessity a straw fedora is so I won’t go there again, just get one! This Nars bronzer is great for those of you who, like me, don’t enjoy going make up free, it gives great coverage and an instant healthy glow. And bright nails are a must…I love these OPI colours, Cajun Shrimp and Kiss Me On My Tulips. 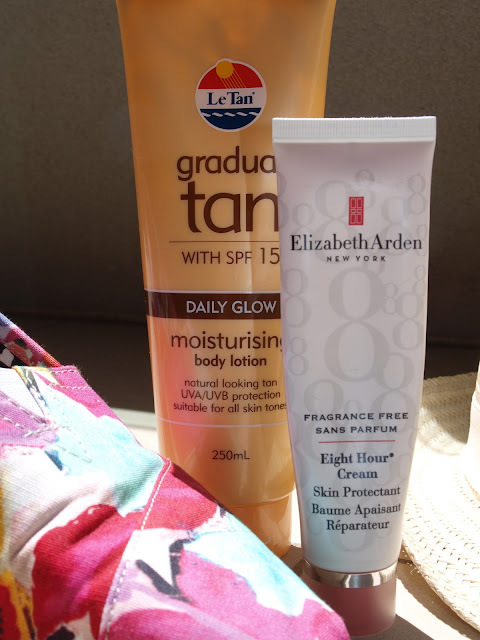 I have been obsessed with Le Tan Gradual Tan for the past month now, I don’t have the darkest of skin colours and find this is great for combatting winter white legs without leaving any unwanted orange patches! Eight Hour Cream has been in my life for years now, I tend to use it mainly as a lip balm but it’s also great for your cuticles. Hope everyone has a Merry Christmas and you’re all enjoying some sunshine (if you’re on the same side of the world as I am!) and fun times with family and friends.